These are the results for ClassenSAS Speech and Debate competitors at the Edmond North Speech Tournament on October 6-7, 2012. Each of these students who placed in the top three qualified for the regional speech tournament which will be held in March 2013. That will be the state-qualifying tournament, so it is a BIG deal so many ClassenSAS students qualified for regionals in our first tournament of the year in Edmond this weekend! Here are the results! 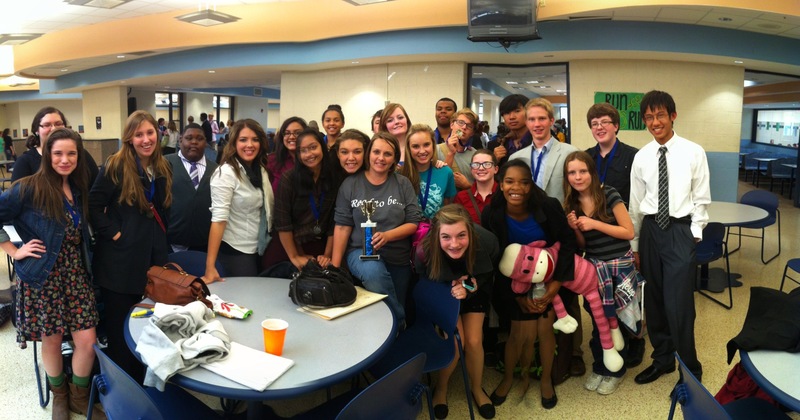 The Sweepstakes Trophy is awarded to the team earning the most points in both competitive speech events and competitive debate. ClassenSAS won the 2nd place sweeps trophy for the Edmond North tournament! The ClassenSAS debate team is coached by Londa Madron and the speech / individual events students are coached by Terry Veal.